Our Circular Help postcard design template is a powerful way to print personalized postcards that promote your nonprofit cause. The front features two prominent circles – one with your custom image, the other with an attention-getting call to action – on a solid-colored background; plus your organization name, website URL, and a personalized message of your choice. Add another custom photo in a bordered circle on the back, adjacent to your organization name and website URL and above another call to action and your custom message. The white background and colored font lend a minimalist appeal that draws attention to your plea for help. Circular Help is a professionally-designed template, but you can customize yours in one of three unique color schemes and with your own personalized photos and text with our easy-to-use design tool – no design skills needed! 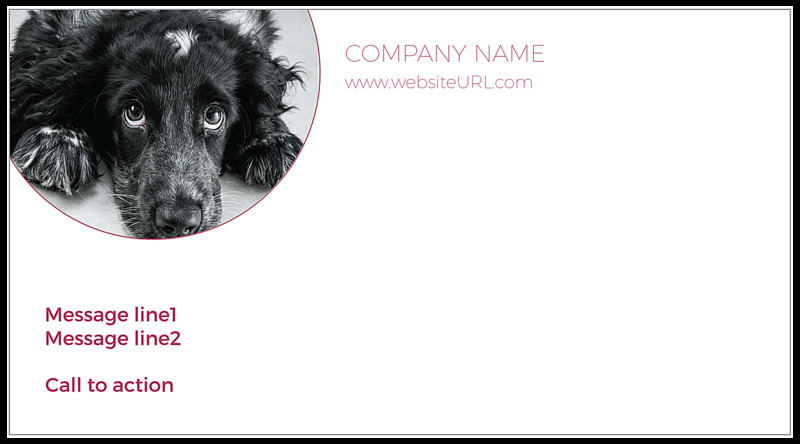 Postcard personalization has never been easier when you use our free online postcard design tool. Start with our Circular Help template in your choice of color, then use the intuitive tool to upload your own photos and edit the text for a personalized message that resonates with your supporters. The point-and-click interface is super-easy to use! When you’re done, you can even generate a free PDF to share with your team before you go to print. High-quality printing and excellent value are paramount at PsPrint. 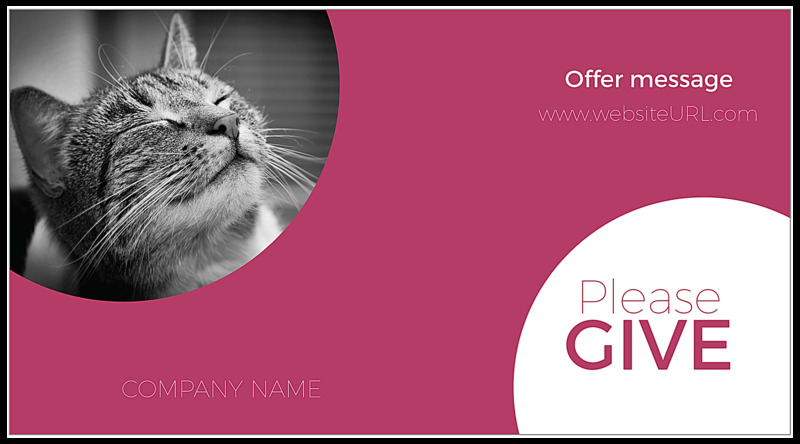 Your satisfaction is guaranteed when you print custom postcards for your nonprofit organization! From beautiful paper stocks that look and feel amazing to vivid soy inks that make your design stand out, all at affordable pricing, it’s easy to see why so many organizations rely on PsPrint to handle their print marketing materials. Beautify your postcards with custom printing options such as foil stamps and die-cuts; or, make your postcards more visually-attractive with ultra postcard paper stock (it’s triple-thick and features a line of edge color). Need a mailing list? We offer mailing list generation based on the demographics you choose. Want to save time? As your one-stop postcard marketing partner, we even offer addressing and mailing services to help save you time and money!